Here is a photo of New gates being built in the Haiti airport. 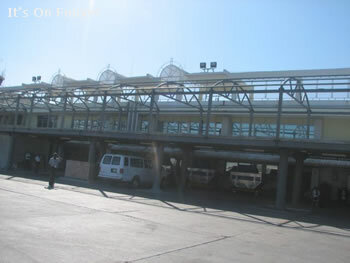 The airport in Haiti opened in 1965 as Francois Duvalier International Airport, then in 1986 it was renamed Port-au-Prince International Airport, it was also known as Aeroport Mais Gate. In 2003 the Haitian airport's name was changed to Toussaint Louverture International airport (IATA: PAP, ICAO: MTPP).